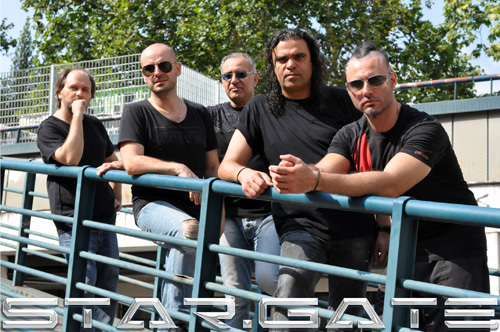 Greek metal band Stargate is a band that seems to be in a consistent state fluidity and instability. They released their first eponymous album in 2004, but the second arrived a many nine years later. The latest, Longing For Light, sets a band record, reducing down time to a third. Then there's the continuing personnel changes. A new vocalist and guitarist arrive with John Jeff Touch and Sotos Gogos, respectively. Thankfully, what does remain consistent is the Stargate sound, melodic hard rock with a metal edge, then clothed in an AOR wrapper. Now on to some observations. The first of which concerns Touch's vocal style. At first I was put off with his attempts to soar, hit some higher notes, or just be more assertive. He seems to strain, the next stop on his register would be screamo (like within Light My Way, as one example). Yet, while still skeptical of the vocals, the album has other merits. One is the fine guitar work with smart and sharp riffs leading to an abundance of ripping solos. Additionally, the keyboards go beyond symphonic embellishment, but to significant solos as well. And solos that don't sound like Nintendo game music either. A good one is found within I Can't Go On. Another point of interest is Stargate's song composition. Remember I mentioned that AOR wrapper? Stargate is very good a combining melody, both guitar and vocal harmony, essential rock groove, and catchy refrains to create very accessible, easy to enjoy, songs. Finally, of some curiosity are the two songs Winter Morning and the Intro to the song Brave. The former is basically a bass solo and the latter a significant drum solo. I can't recall an album in recent years where two stand alone instrumentals were dedicated to those instruments. A prolonged guitar instrumental, sure, but not bass and drums. Both really stood out for this listener. 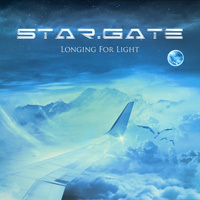 Overall, Long For Light is another fine and creative effort for Stargate, musically speaking that is. I still have my doubts about John Jeff Touch's vocal style.